Play video on Raspberry Pi is quite easy what you need is a media player such as XBMC, which is a great media center interface that works on many platforms including the Raspberry Pi. This post will show you how to download and install XBMC on Raspberry Pi and viewing Blu-ray disc on Raspberry Pi via XBMC. Now we need to run the installation script with sudo privileges. You will then be greeted with a screen similar to the one below. You are now using the installer. Simply follow the instructions and you should be fine. Unfortunately, Blu-ray discs aren't supported by default XBMC. The following part will show you 2 ways to enable Blu-ray playback via XBMC on Raspberry Pi. MakeMKV does coupled with an XBMC plug-in that can give you a pretty close experience of viewing Blu-ray movies on XBMC on Windows or Linux. Here we will describe the step of setting up all on Windows platform. Download the installation package from MakeMKV's web site and install it as you would any other program on Windows platform. Download the zip file linked on that page and install it to XBMC's video plugins folder, it's most likely in , which you can access by going to your home folder, showing hidden files (by going to View > Show Hidden Files) and double-clicking on the folder. Now open up XBMC and go to your video plugins menu. Its location will differ on every skin, but on the default skin it will be under Video > Video Plugins > BluRay. go to the bottom of the menu and choose Settings. Hit MakeMKV location and find your makemkvcon.exe file on your system - it'll be where you installed MakeMKV (C:\Program Files\MakeMKV\makemkvcon.exe) by default. Hit OK. Step 3: Play your disc. Now, whenever you want to play a Blu-ray disc, just go back to your Video Plugins in XBMC, hit BluRay, and choose Play Disc at the top of the menu (Videos > Plugins > BluRay > Play Disc). The process of watching Blu-ray on XBMC with MakeMKV plug-in may seems too complicated especially for some beginners. The good news is that there are some simple to use Blu-ray Ripper application can assist you to rip Blu-ray to XBMC playable digital file formats with just few clicks. Here, you can get the job easily done by downloading Pavtube ByteCopy, which not only helps to bypass the Blu-ray copy protection on-the-fly, but also direct rip or convert Blu-ray to XBMC readable digital file formats on the same interface. For Mac users, you can switch to download Pavtube ByteCopy for Mac to perform the conversion on macOS High Sierra, macOS Sierra, Mac OS X El Capitan, Mac OS X Yosemite, etc. Step 1: Load Blu-ray disc. Click "File" and "Load from disc" to load your Blu-ray movies to ByteCopy. Don't forget to select preferred subtitles and audio track on the main menu. Step 2. Choose your target output video format. Click the dropdown format menu to choose your target video format where there are quite a lot of output video formats option . 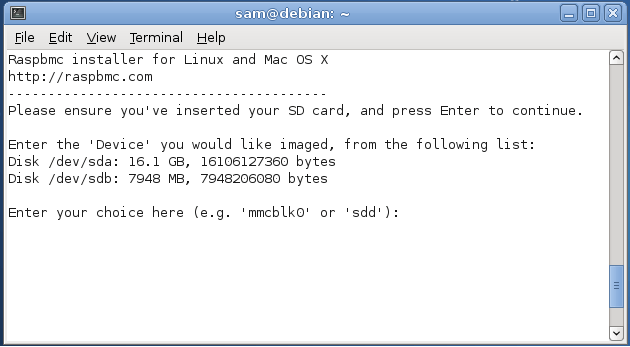 And here we need to choose "HD Video-H.264 HD Video (*.mp4)" for playing via XBMC on Raspberry Pi. Step 3. Profile settings adjustment (Optional). If you want to change the default profile settings, please click "Settings" to adjust both video and audio settings according to your need. Here you are allowed to set video size, bitrate, frame rate, etc to achieve the best movie effect on your tablet. Step 4. Start the final conversion process. After setting everything for your DVD conversion, go back to the main interface and click the big red button "Convert" to start conversion. When the conversion completes, you can get ripped Blu-ray movies for Raspberry Pi playback via XBMC. How to Store DVD Movies Forever?